Many users often use ActivePresenter to record screen and edit videos. But the app has another powerful capability which surprises you for sure. It is designing professional and impressive eLearning courses. In this article, I’ll give you convincing reasons why you should choose ActivePresenter for eLearning design. Also, you can find some useful tutorials to get started on designing eLearning courses. In the recent post, you’ve known important things to consider when choosing an eLearning authoring tool. So, today I will base on them to explain why ActivePresenter is the best choice. 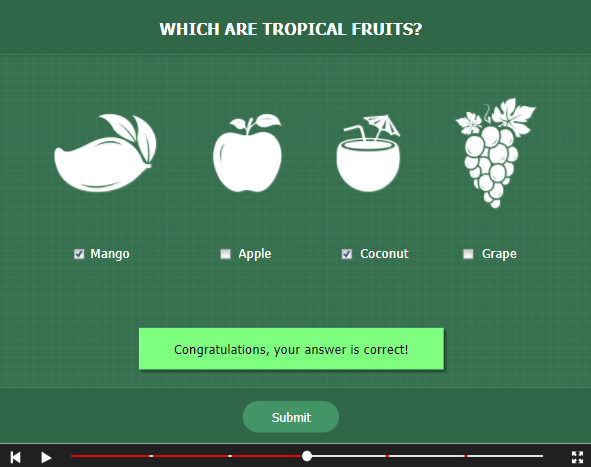 In terms of eLearning design, ActivePresenter offers many advantages which satisfy you. First, the app is suitable to create interactive presentations, games, videos, or simulations for any purpose. For example, you can use the app to make a series of quizzes for kids or a simulation exercise in recruitment. Second, ActivePresenter also comes in handy when you want to use different levels of interactivity in your lessons, from no interaction to full immersion. It doesn’t matter whether your goals are simple videos or complicated contents like drag-n-drop interactions. More importantly, it’s possible to use ActivePresenter for linear and non-linear eLearning design. You won’t thus get into trouble even if your learners need different levels of guidance. ActivePresenter team puts a lot of effort into bringing the best experience for users. It’s easy to install, activate, and work with the app. You don’t need to wait so long for setting up this app on your computer. The installation process finishes in a matter of second. Besides the installation, the updating is also simple. When there is any update, an update notification dialog box appears on the screen. Just click OK to run the process. ActivePresenter has a consistent and standardized user interface across all the screens. Tabs, buttons, commands, and the like are in place so you don’t take much time to find. Tooltips and error messages are clear and understandable. What’s more, snapping objects to each other or to the Canvas is worth mentioning. This feature also appears in the Timeline pane. 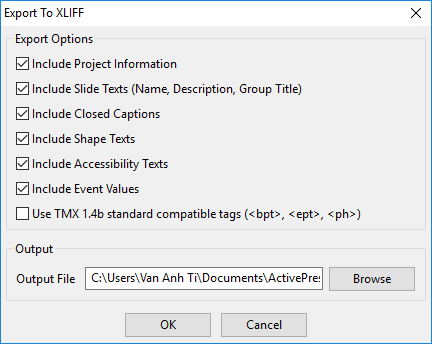 By default, ActivePresenter shows the Slide, Properties, and Timeline pane. But you can hide them to increase the workspace. There are more customization options in Preferences, allowing you to customize UI the way you like. In a word, despite a multifunctional tool, ActivePresenter is easy enough for even beginners to use. As I said earlier, ActivePresenter is also a video editing tool. So, media supporting comes as no surprise. Yet, the best thing is that the app offers a powerful Timeline pane to edit video/audio, which it’s hard to see in many other authoring tools. 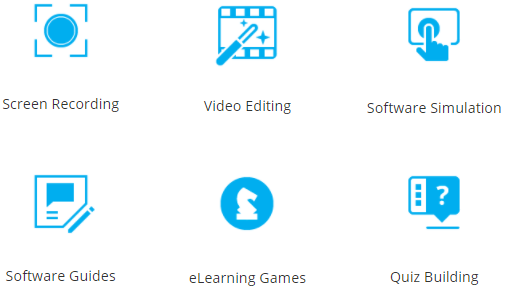 You are free to use all video editing features, even in eLearning design. To use screencasting in eLearning, you should consider ActivePresenter as your ideal tool. Here is the reason: the app allows recording video demos and software simulations. This means there is no need to insert an extra screen recording app apart from your authoring tool. Record everything on screen, capture audio, support automated annotations, or create high-quality screencasts, the app covers almost everything. For more information, see How To Record Screen And Edit Recorded Videos With ActivePresenter. ActivePresenter gives you two types of objects: annotations and interactive objects. They are both helpful in eLearning design. Annotations could be images, videos, audio clips, smart shapes, closed captions, zoom-n-pan, and so on. They make your content visual but cannot interact with learners. In other words, annotation objects don’t require any input from learners. Meanwhile, interactive objects are meant for responding to learner inputs. 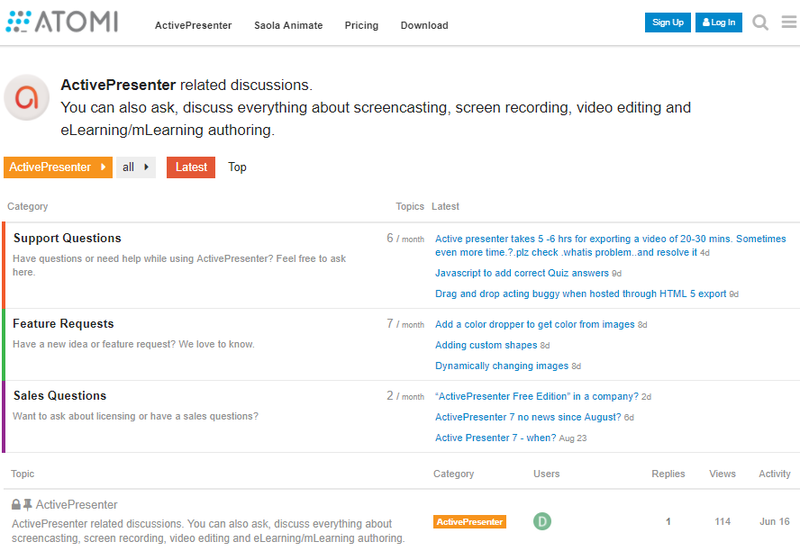 In ActivePresenter, they range from Mouse Click, Key Stroke to questions like Multiple Choice and Drag-n-Drop. Using them is a good strategy to imitate real-world scenarios, increase learner engagement, and boost learning performance. To illustrate, look at our demo Classifying Animals or Drag-n-Drop. It’s clear that ActivePresenter gives you full flexibility to decide what type of content you want to create. Offer feedback messages like correct, incorrect, hint, and timeout ones. Support question pools (also question banks) to design random quizzes. Configure the number of tries allowed for tests, quizzes, or questions. Get valuable insights into the number of correct and incorrect answers, slides viewed, and points gained. From here, you may know what strengths and weaknesses of your learners are. Define what engage and attract your learners most. For example, if there are more learners doing a quiz than any other quizzes, it may state that learners much prefer that quiz. Send reports about learners’ results to a specific HTTP address. In case you don’t know: ActivePresenter is also compatible with LMS. This means if you use the app to design eLearning courses, it’s simpler to assess how well your learners do your quizzes and where you should improve to enhance their retention. The app now supports the following technical standards: SCORM (SCORM 1.2 and SCORM 2004) and Tin Can API. Take a further step to localize your eLearning courses, and they will reach the global audience. In ActivePresenter, you can do this by working with the Localize tab. It has never been easier to adapt your courses to a particular language or a culture. Check out Localizing Projects to learn more. ActivePresenter also comes with preset object styles and mouse click sounds. Using them, you can save yourself a lot of time and effort. See Using Styles for Objects or How to Change Mouse Cursor in Captured Videos to find out the procedures. There is also good news. 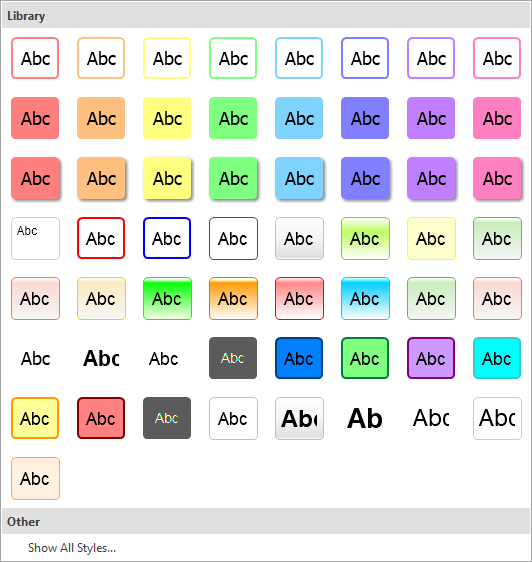 From the upcoming version 7, ActivePresenter will offer a number of templates, themes, and samples with great design. Want to know more? 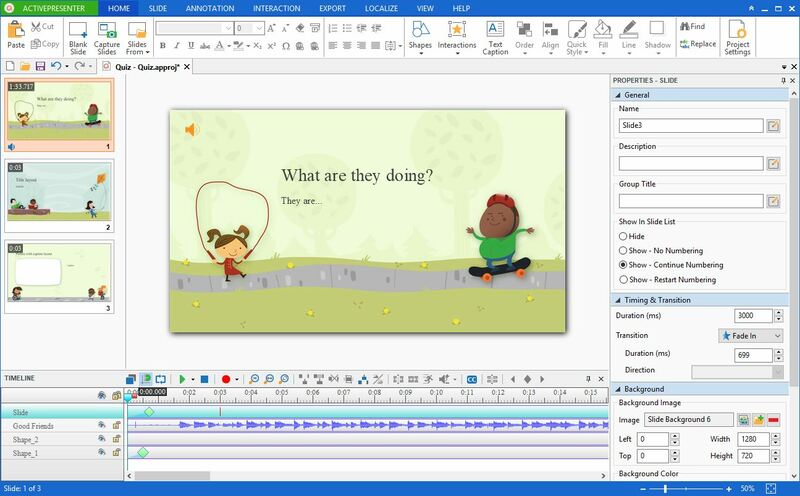 Check out Activepresenter 7 New Features and Enhancements for eLearning Authoring. Not only does ActivePresenter provide powerful features but it also has a strong support system. This system includes a proactive online community, reliable documentation, and a constantly updated YouTube channel. Let’s say you are creating a quiz and don’t know how to insert an audio. Then, you can read the article Inserting an Audio on the Tutorials page, watch the video How to Add an Audio, press F1 to open the Help file or ask a question in the community. What are you waiting for? Click the below button to download ActivePresenter and start to design an eLearning course right now. Currently, ActivePresenter offers three editions: Free, Standard, and Professional. Out of them, the Professional edition is designed for those who want to create eLearning contents. You can see this comparison table to learn more about those versions. If you need any further information, feel free to contact us.